Google has begun to experiment with a new virtual reality advertising format at its experimental workshop, Area 120, which the company uses to test ideas. The ad format focuses on native and mobile VR to determine what they might look like. In Google's example, the cube with an ad on it appears as a 3D object inside an app. It attempts to attract the viewer's attention by turning from one side to the other. By tapping on the cube or gazing at it for a few seconds, the cube opens a video player where the viewer can watch the ad. The ad then separates from the cube and expands to take up most of the screen. It remains for several seconds before collapsing and folding back into the side of the cube. 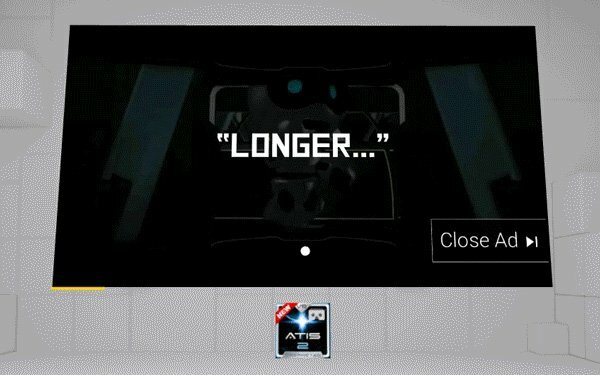 "Our work focuses on a few key principles -- VR ad formats should be easy for developers to implement, native to VR, flexible enough to customize, and useful and non-intrusive for users," Aayush Upadhyay, Google project manager at Area 120; and Neel Rao, Google project manager and cofounder of Area 120, wrote in a blog post . The Google team has an early-stage software development kit available and has been testing the ads across Cardboard on Android and iOS, as well as Daydream and Samsung Gear VR. Google CEO Sundar Pichai confirmed the existence of the incubator for technology and ideas, Area 120, in late 2016. The name came from Google's 20% program, where employees get to work on a pet project 20% of the time . "Instead of spending a day a week on a side project, those accepted into the program may be able to spend six months on it," Pichai toldForbes. He also said that Google would commit its vast computing resources to incubate some projects. 1 comment about "Google Experimenting With VR Ads". Craig Mcdaniel from Sweepstakes Today LLC, June 30, 2017 at 2:15 p.m. This sounds like a bad circus act. Won't be going on my website.